The 2012 box-office misfire (but fan-adored) Dredd is a getting a sequel this fall — but probably not the one you expected. 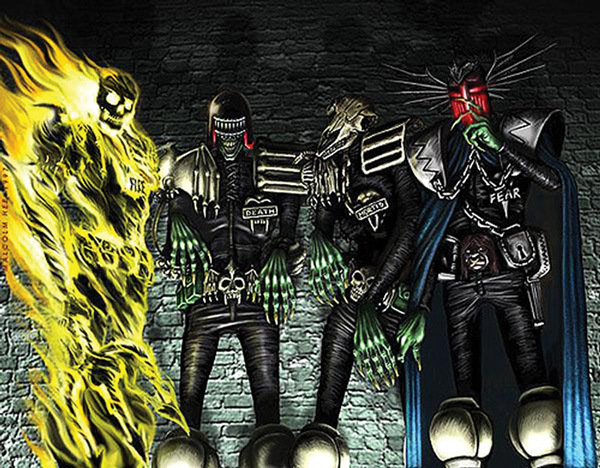 Dredd executive producer Adi Shankar has just revealed that he spent the past two years secretly creating an online spin-off miniseries centering on Judge Dredd’s worst enemies, the Dark Judges: Death, Fire, Fear and Mortis. In case you’re unfamiliar, the Dark Judges hail from a parallel universe and believe life itself is a criminal offense!